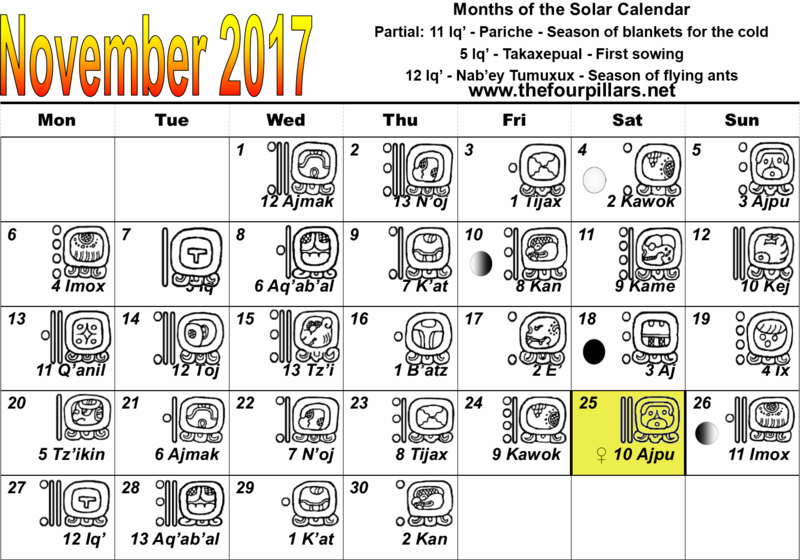 Here are the days of the Chol Q’ij mapped onto the Gregorian month of November 2017. Perhaps the most important event of the month will be the disappearance of Venus late in the month. 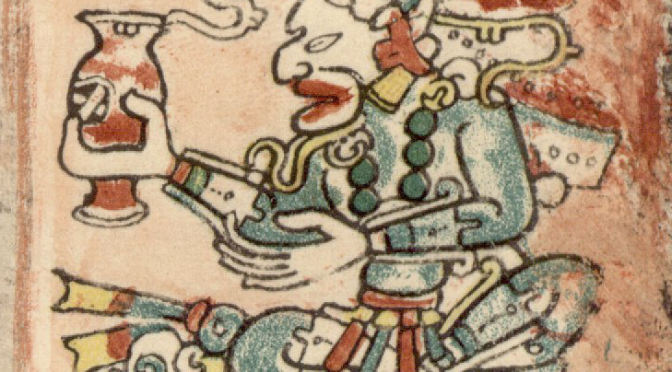 According to the Dresden Codex table, Venus should cease to be visible in the morning sky on 10 Ajpu (25th November) as it goes through its superior conjunction for 90 days. The disruptive influence of the “Morning Star” subsides as it becomes one with the Sun, and the leaders left in power may have a little less turbulent time. However, we are still in the year 5 Iq’ and surprises, particularly through communications are still in store. 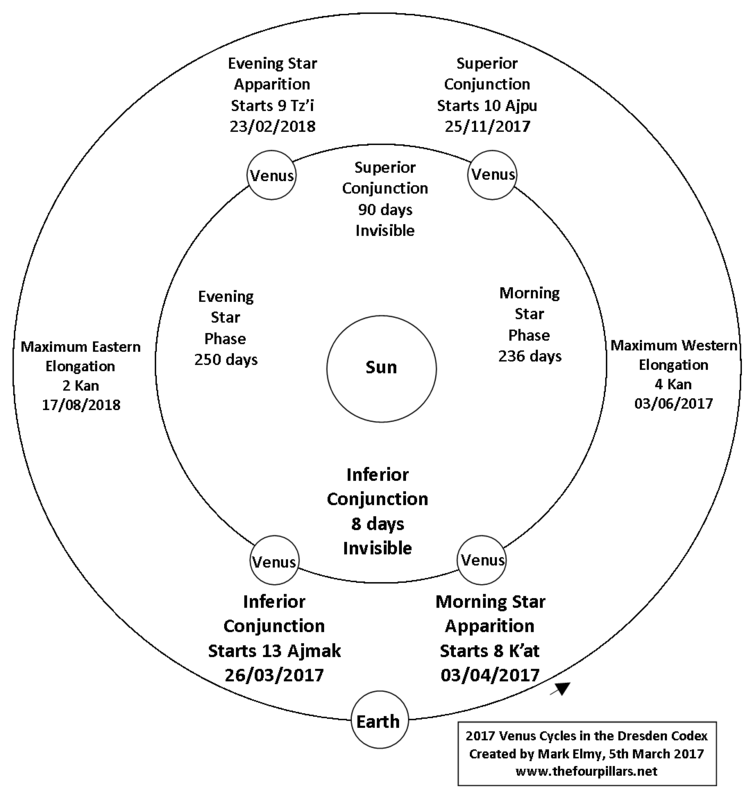 Interesting Venus will emerge as the “Evening Star” just 3 days after the change of the year lord, on 9 Tz’i (February 23rd 2018). Will the combination of the sage-like influence of the “Evening Star” with the stable leadership of the new Mam 6 Kej bring a steadying influence to our world again? This Gregorian month we have two meteor showers to look forward to. The Taurids will probably be pretty difficult to see on the night of the 4th/5th due to the full moon, but the Leonids on the 17th/18th coincide with the new moon and may give a good show.